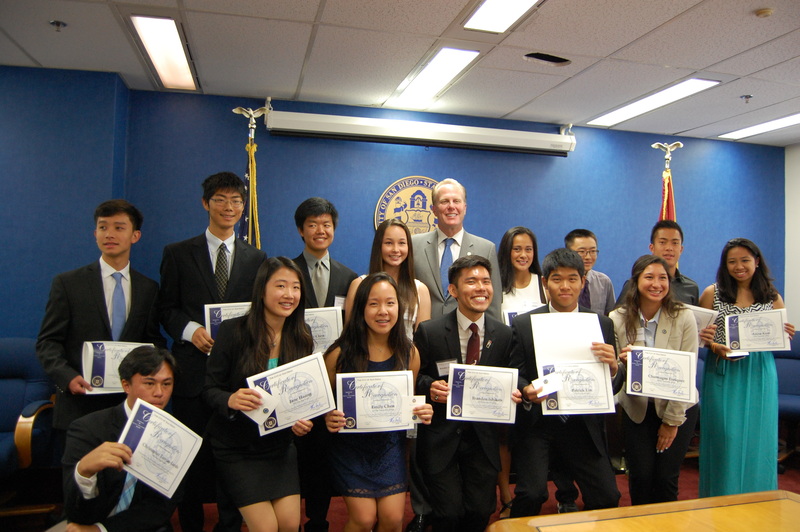 After three months of careful deliberation, the San Diego API Student Mayoral Recognition Award, sponsored by eight Asian societies from San Diego, was presented to the winners by the mayor in its first awards ceremony on June 23. The ceremony took place in the San Diego city hall’s conference room where Mayor Kevin Faulconer greeted award-winning students, parents, and community leaders. He also took pictures with the students and presented each of them with a San Diego City badge. “We are pleased to see so many people here today. 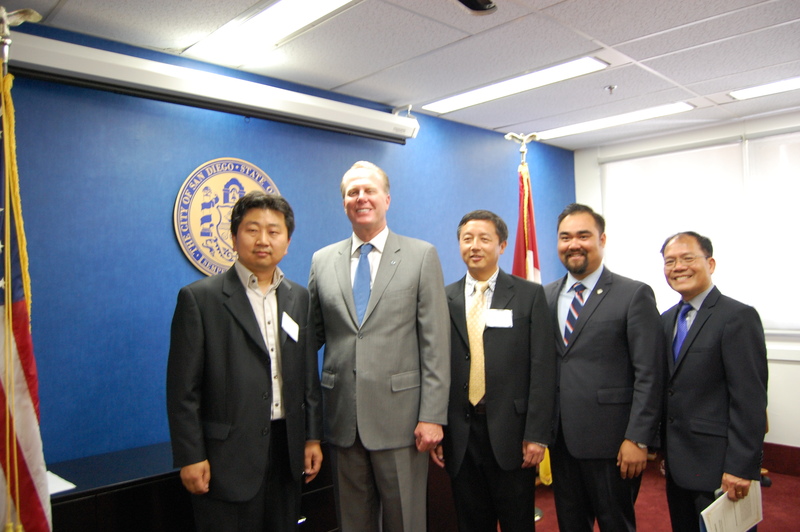 Thank you everyone for your efforts to bring a change to our communities” stated Mayor Faulconer at the awards ceremony. 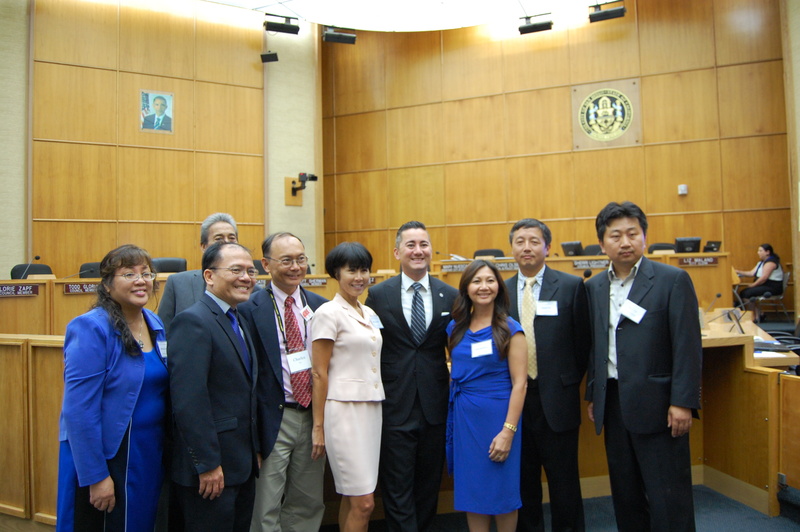 SDAAFE members Paul Yung and Shawn He, who are also members of the award committee were present at the ceremony. 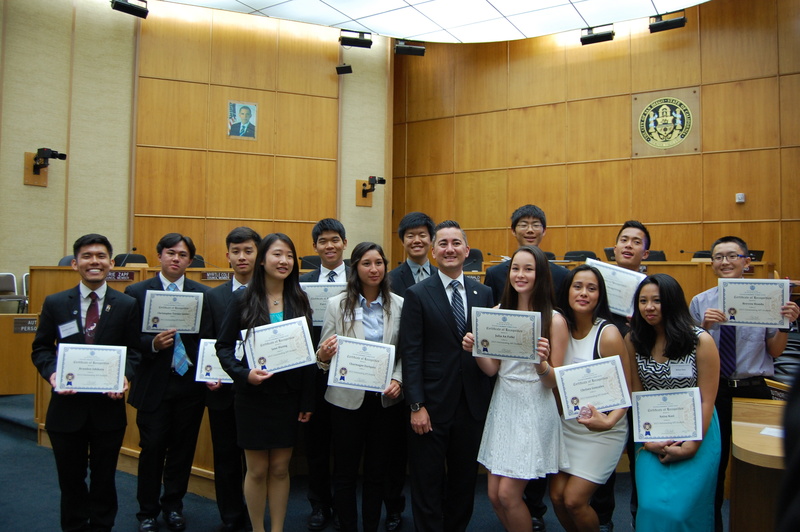 The students also met city councilmen Chris Cate and accepted his compliments. Cate was elected a Councilmember for district 6 (which has large Asian population) and is the first Asian American to be elected to the San Diego City council since over 50 years ago after San Diego Asian Political Legend, Tom Hom, was elected in 1960s.